This is a fabulous 1/1 condo in downtown, walking distance to the Capital and minutes from the stadium. The kitchen is fully equipped for cooking. 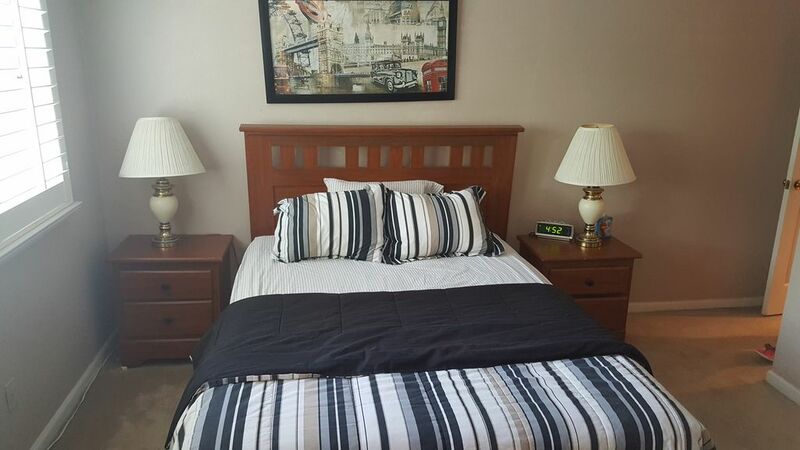 Brand new bedroom furniture including mattress installed December 2018. Comfortable living area with basic cable and wifi throughout. Enclosed patio for morning coffee or evening cocktails. Our place is pet friendly and right around the corner form Cascades Park for taking your pup for a walk.